As an introduction to Mobile-Impulse.com, this list shows my personal taste and references for game reviews. I grew up on console games starting with NES and have continued playing games on the current generation consoles. Mobile games are kind of reliving the golden age of early consoles with small teams and big ideas. With iPhone games getting bigger budgets and teams, I think this is a great time to look back at some of the inspiration. The Half Life series perfectly demonstrates less is more story telling. Great films leave questions open with just enough clues to almost reach an answer. Great mystery shows thrive off of hiding answers with just enough traces to grab the viewers imagination. 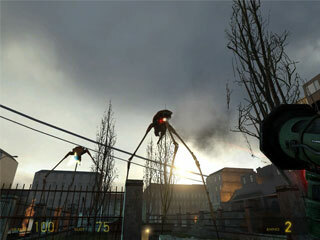 While the first Half Life introduced almost every modern shooter element still used today, Half Life 2 created high Sci-Fi and sophistication into an unbelievably realized interactive world. The feeling of Mario’s jump is the most perfect interactive design ever created. The weight, control and responsiveness connect at such a deep level with the player that simply moving forward in a Mario game is pure fun. Apple I feel has the same knack for connecting with users using touch controls. 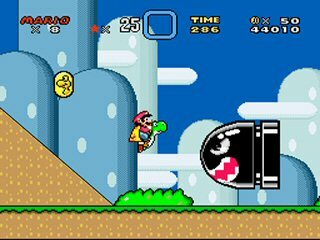 I picked Mario World over Mario 3 because of the save function and I love the 16 bit colors and graphics more than 3’s 8 bit mastery. The ghost house puzzles and secret levels like Gnarly added so much awe to the experience that I felt like the game would last forever. Everytime I start a new game, I still have the same boundless amount of fun. The Metal Gear Solid legacy pushes this title into the top 5, but MGS3 (Subsistence specifically) is the best of the series. The organic development of mission objectives sets it apart from many games being released now, but Kojima’s deep layering of story, graphics, imagination and all around quality leave a strong lasting impact that pulls me back for multiple rounds. I loved finding all the ingenious ways of fighting The End and couldn’t believe that amount of variety carried into every moment of the game such as starving guards and blurring their vision. 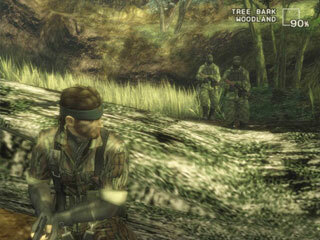 The codecs do a great job of establishing the necessity for Snake’s conflict while the peripheral quirks add hours of entertainment beyond any blockbuster movie. Long held as my number 1, the visuals have aged harsher than Nintendo’s 1st party sprite work. As much as Final Fantasy VII is attacked now for being too overly praised among FF best ofs, VII captured so many relatable moments with it’s artistic direction and bizarre situations. Having an in game camera catching a blue collared father watching the news while a terrorist attack is falling from the sky seemed so telling of the living world the characters were involved in. Also mixing amazingly iconic imagery such as angel wings on rusted industrial scifi creativity instantly grabbed the gaming worlds attention pulling a whole generation into RPGs. 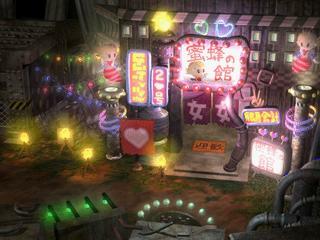 The added levels of politics, economics, religion and personal dilemma make VII a bold realization of interactive design. 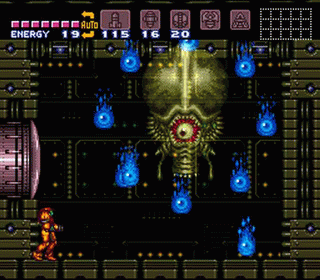 Looking back on all the games I love, Super Metroid holds up better than any other experience. It seemed so mysterious when I first heard my friends talking about it, but when I dropped it in my Super Nintendo I felt so connected to the environments that exploring seemed as fresh to me as it did to the main character Samus. Nintendo seems to be able to place themselves in these imaginary locations and create visionary and almost tangible worlds that feel like the sprites are living through these adventures.